Access Profiles, Inc.: Do You have what it Takes to be a Good Leader? To answer that question, it is important that you first consider this….What are the top traits that the most inspirational leaders you know really have? When I think about the best people I have known in my life, I often look to my parents, teachers, friends, and my business connections. Many of them have had great impact on me personally and in my professional career. But when it comes to who among them I believe is a good leader, my list becomes more selective. I find myself looking for qualities in these people that bring out the best in those around them. Soon a pattern emerges and I discover that there are traits that all the best leaders have in common. Instead of demanding things from those around them, the best leaders demand the most from themselves. They “walk the walk, not just talk the talk”. These leaders persuade instead of command and control. A true leader must a driving force. They must embody the strength of character and ideals that others want to emulate. Mutual Respect is when people are given the freedom to share their opinions and ideas without being dismissed. Good leaders consider all these opinions, even if those ideas are different than their own. Practicing mutual respect also means that everyone’s rights are protected and they feel safe and valued. Good leaders are strong believers in fair play, right from wrong. They are completely honest with themselves and others but, most importantly, that honesty is tempered with kindness. The best leaders don’t believe they are better or smarter than everyone else. They understand that they don’t know and can't do everything. They are willing to own their mistakes and learn from them. Whether it is individuals or the team as a whole, good leaders are able to pin point what is working and what is not. They also recognize what each member of the team brings to the whole. Because of this, good leaders recognize the best person for the job and then empower them to get things done. 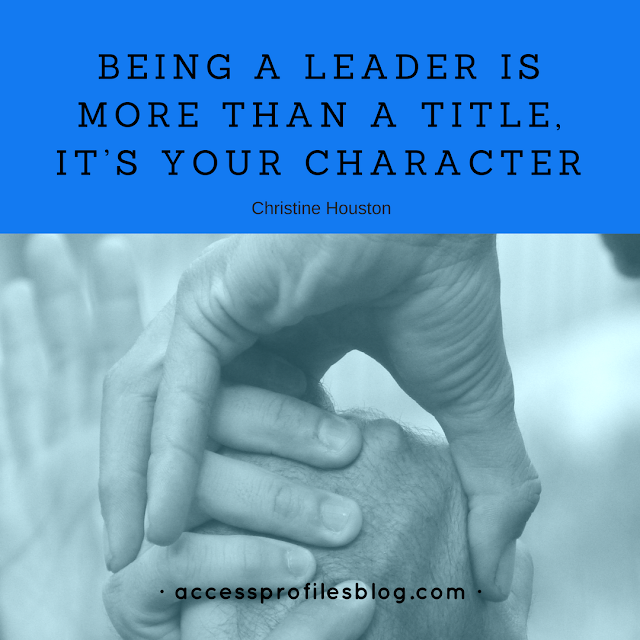 Being a Leader is more than a title, it’s your character! "Tweet This"
But perhaps the most important trait of a Good Leader is that they are comfortable placing their focus more on how they can help others than on how they can get ahead themselves. In business, there are those who think that to get ahead you need to be cutthroat and focused squarely on your own goals. But it doesn’t have to be like that. Instead, the very best leaders find ways to make a difference in the lives of those around them and to help them unselfishly reach their own goals. This ideal is called being a “Servant Leader”. In 1970, Robert K. Greenleaf coined the phrase “Servant Leadership”. This concept focused on the importance of good leaders being a “servant” first. Servant leaders value and encourage diverse opinions, cultivate an atmosphere of trust, and selflessness. 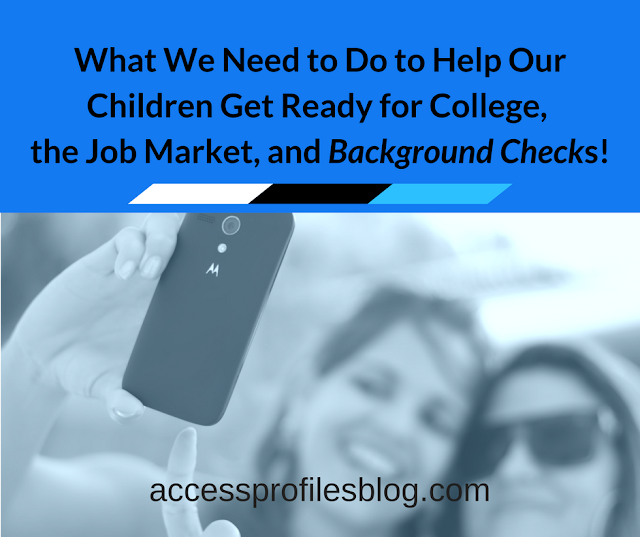 They also focus on developing future leaders out of those around them. These types of leaders are not afraid of the success of others. They consistently help and support those around them in order to help others achieve their own goals. But, to be a true Servant Leader, compassion is the key. These leaders create strong relationships and show true caring through their actions, not their words. They actively look for ways that they can benefit others, and they work hard to help solve their problems and listen to their concerns. Many times this willingness to help another person succeed takes the form of mentoring. “Being a Mentor requires that you be genuinely interested in another person’s growth, with no real expectation of tangible personal gain. Invite the mentee into your “inner circle”. 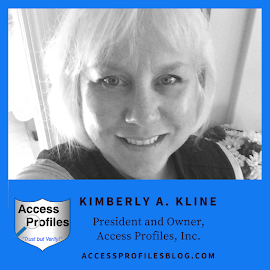 Introduce them to who you know and include them in your professional groups. In other words, “Pay it Forward”, “Make A Difference”, and Pave the Way”!”, excerpt from “Are You Ready to be a Mentor?”. Good leadership should not be about demanding. When you have to demand respect, loyalty, or dedication, then you are doing something wrong. Instead, the really great leaders lead by example. Day in and day out they act in the way they want those around them to act. They work hard, build relationships, and value others. 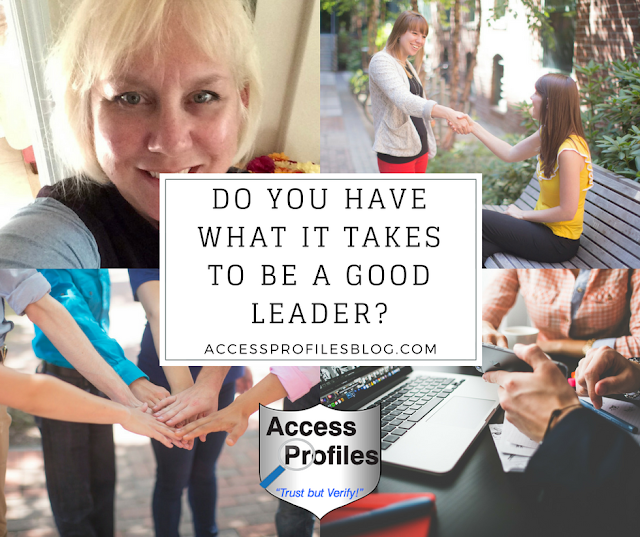 So, to get back to my original question, “Do you have what it takes to be a Good Leader”? You do if you have the drive to inspire, a strong sense of fair play, true compassion, and the willingness to be a positive force in the lives of others. Then you are ready to be the kind of Leader that can truly Make a Difference! Discover more About Us and what we can do to help your business succeed! Check out our Background Investigation, Business Mentoring, and Security Consulting services to find out more!